Digital infrastructure and agility is needed to enable tomorrow's workforce, says Mehmood Khan, COO at SAP Africa. Mehmood Khan says talent management is an organisation-wide concern in the modern enterprise, but the chief operating officer has a particularly important role to play in a disruptive environment. Millennials will soon outnumber all other generations in the workplace. This generation already represents a quarter of the workforce in the US, and more than half the workforce in India, and within two years will account for 50% of the total global workforce. 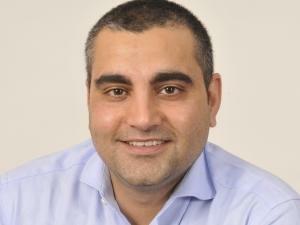 Companies' success in attracting and retaining talent will depend on how well they can adapt to the drastic changes heralded by the entry of this highly skilled, connected and techno-savvy generation, says Mehmood Khan, Chief Operating Officer at SAP Africa. A PwC study found millennials often feel constrained by what they consider to be outdated working practices: nearly two-thirds said they felt traditional hierarchies and outdated management styles prevented them from performing at their best. Traditional notions of reward and remuneration are also being challenged: 73% of millennials say that the ability to customise their benefits would be attractive to them, with training and development and flexible working hours ranking higher than monetary reward. The entry of the millennial generation into the world of work is also upending long-held notions of how companies manage their workforce. Not content with jobs-for-life or linear career progression, this most connected generation is forcing companies to rethink their recruitment, talent management and onboarding practices or risk losing out on much-needed skills. In a global study by Ardent Partners, 58% of respondents across 24 industries stated that embracing on-demand and real-time talent sources is a top strategy for adapting to the changing talent environment. On-demand talent, the so-called contingent workforce or 'gig economy' workers, is helping enterprises promote the quality and depth of their talent supply chains and pushing them to utilise new sources of expertise to drive business value. But, the entry of this new generation of worker into the modern workplace is not automatically seen as a positive development, especially in Africa. Detractors are quick to point to the continent's under-performing education system and reliance on the agricultural sector for employment. A lack of STEM skills, science, technology, engineering and maths, is a key underlying issue that will only be compounded as the fourth industrial revolution picks up momentum. Africa's labour market will be transformed, along with that of the rest of the world, but a workforce estimated to be 1 billion-strong within the next 25 years will create challenges unique to the continent. Presently, fewer than 1% of African children leave school with basic coding knowledge. Public-private sector initiatives such as Africa Code Week, which last year trained 1.3 million youth in basic coding skills, play a vital role in equipping the future workforce with marketable experience and skills. Graduate programmes that supplement classroom knowledge with practical technical skills help to fill the gap between academic and industry knowledge. Companies can arguably do more to enable lifelong skills development among junior and more experienced employees, but care should be taken to not exclude the contingent workforce when designing such programmes. Nearly 38% of the global workforce can now be considered "non-employee", which includes contingent workers, freelancers, gig workers and temporary staff, an increase of 30% over a five-year period. Agile talent, which involves consistent use of highly specialised skill sets on a recurring contract basis, is a growing concept among global organisations. And with stagnating or negative population growth in many developed markets, Africa is seen as a vital future source of talent that will drive the global economic engine. It is essential that the infrastructure that will enable effective utilisation of Africa's talent pool is established now. Talent management is an organisation-wide concern in the modern enterprise, but the chief operating officer has a particularly important role to play in a disruptive environment. The job of human resources is likely to change significantly as the contingent workforce grows in size and importance. Data and analytics will play significant roles in managing tomorrow's workforce. Continuous skills development in the face of constant technological disruption will become the norm in high-performance organisations. COOs need to start laying down the infrastructure that enables HR to manage multi-disciplinary teams across cultural and geographical lines, and this work should start right now. According to the World Economic Forum's Future of Jobs report, two-thirds of companies surveyed believe future workforce planning and change management are reasonably high or very high priorities for their organisations. However, only half of chief human resources officers surveyed were confident that their workforce strategy is adequate to prepare for the changes Industry 4.0 will bring. The future of work is likely to require innovative talent management and flexible work space arrangements that enable mobile-optimised work. With AI and other forms of workplace automation soon to become the norm, organisations need to start developing processes and policies for how internal and contingent work is balanced with machine-based tasks. Critically, business leaders need to adopt a transformative mindset, since the pace of change and fierce levels of competition for top talent require immediate and transformative changes: an iterative approach is simply inadequate. COOs should partner with the rest of the C-suite to start digitising HR: the development of digital workplaces that include real-time data and analytics capabilities will help manage productivity and stimulate innovation across internal and contingent work teams. A focus on diversity and inclusion will help attract the talent needed to outperform industry benchmarks, while a commitment to ongoing skills development and training will go a long way to retaining scarce skills. It's time to start building the foundation of a brave new world of work. COOs have the rare opportunity to help shape what that future looks like by building the foundation of future human capital management. For more information, visit the SAP News Center. Follow SAP on Twitter at @sapnews.